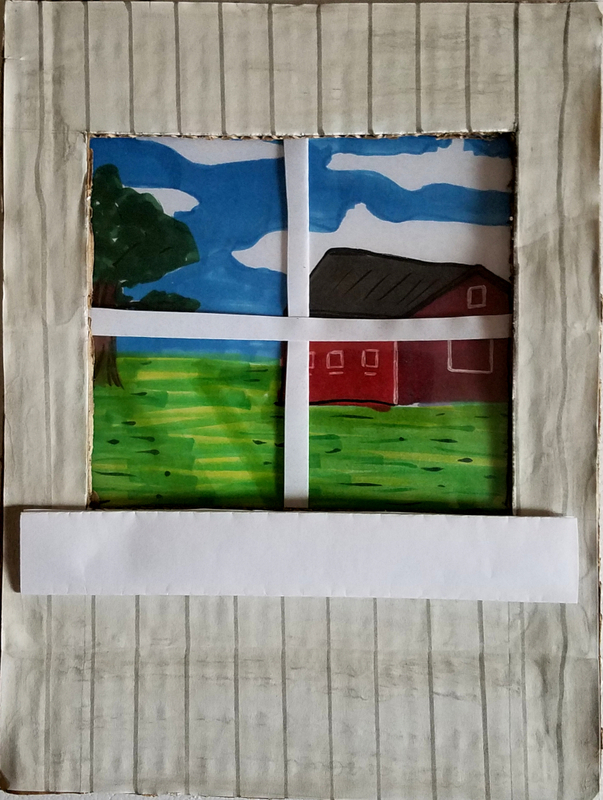 Students will draw a scene in a window that represents their past, present or future. 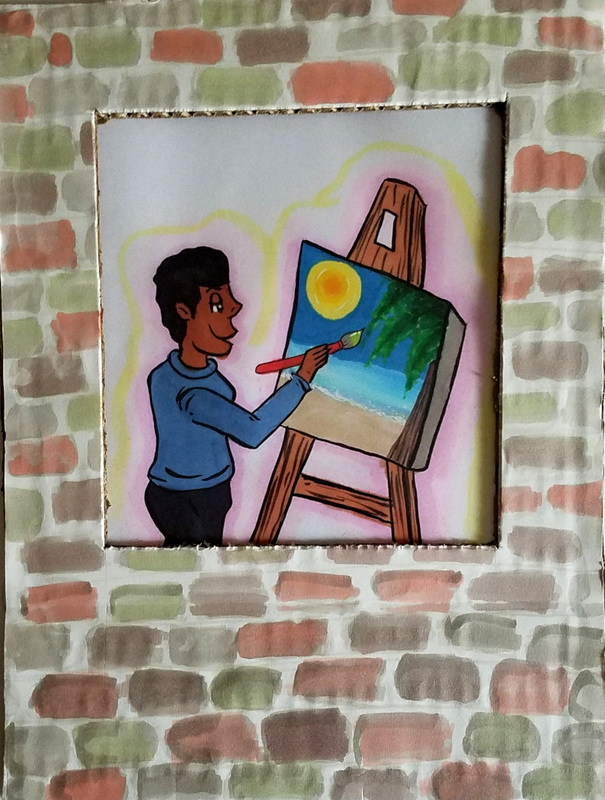 The objective of this project is to display a scene about the student's life. Students can draw a moment from their past like a family vacation or a moment that changed their life forever. Students can also create a future they see themselves having, or draw their everyday life to represent the present. 1. Cut a opening near the center of the board for your window. Then design the outer part of the window. 2. Cut a sheet of acetate slightly larger than the opening of your window, then tape it to the back of it. 3. Draw the image that will be shown through the window on a sheet of drawing paper. Then tape that sheet to the back of the window as well. Instead of focusing on just one moment have students create all 3. Then attach them to a large sheet of poster board.